Welcome to my website. My name is Jimmy, and I had type 2 diabetes. February of 2007, I was diagnosed with prediabetes. March of 2012, types 2 diabetes. The test results from December 2016 indicates that I am almost back to normal. April 2017 my A1c indicates I am diabetes free. February 20, 2019 and I am still diabetes free. Manage your type 2 diabetes naturally will be the main discussion on this website. I have watched many self-help diabetic videos and read many diabetic medical books so that I understand the effects of diabetes. Tested many of the self-test glucose monitor meters, to understand the function, and perform self tests on myself. I encourage you to do the same. The need for me to understand this disease has turned my life into an obsession. I am now a true pundit and understand this disease very well, to the point that I help and educate type 2 diabetics. I have based this website on my learning from a many brilliant doctors that have figured out a way to cure the type 2 diabetes dilemma. The latest information provides a solution to reverse type 2 diabetes safely. In other words, there is a cure for type 2 diabetes. The old, traditional way of treating type 2 diabetes does not work. It does not work because it leads to pills, obesity, and insulin. I learned about healthy nutrition a couple of years ago. I now know which foods are good to eat and nutritional. Eat foods that are in natural form, processing and sugar alter foods drastically. I like to eat raw, apples, celery, lettuce, grapes, avocadoes you get the picture. When I go grocery shopping, I like to look, touch and smell everything that I buy. Read labels when I have to, and always check the sugar content. If I cannot pronounce a chemical on a food label, then I would not buy it. Why because I don’t know what it is. Try running the name of the chemical by your doctor and see if he or she knows what it is. Yeah I know you could google it. Did you know there are more than 56 different kinds of sugar? 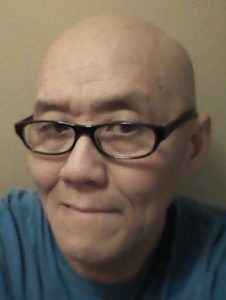 I was born 60 years ago and grew up in Toronto, Canada, have a college education and now live on the West Coast of Canada. Married to a wonderful woman, have a son, grand-daughter, and a dog named Paris. I am a researcher, advocate, and pundit for the control and cure of diabetes. I have cured myself, and I would like to help you. Here are some statistics I have lost 35 lbs. and 4 inches off of my waist and I have maintained that for 2 years. I can safely say that I am in full control of my blood glucose, insulin resistance and can lose weight at will. My brother is a severe type 2 diabetic. On my father’s side of the family, my aunts and uncles have died of heart-related diseases, all of which I attribute to diabetes. Type 2 Diabetes does not develop overnight, it develops through years and possibly decades, due to processed food, stress, and to a lesser degree lack of exercise. Diabetes does not pick and choose who has the disease or not, you could be young or old, overweight or underweight it does not matter. Why was I type 2 diabetic? Type 2 diabetes is not caused by gluttony and sloth – (eating to excess and lack of exercise) although people may think this is the case. It is due to nutrition, a poor diet of processed high carb and junk foods. Eating natural foods and fasting will help you to control and manage your diabetes. Type 2 diabetes should be called processed food disease. Not all people that are obese have type 2 diabetes but they are probably insulin resistant and or have Metabolic syndrome. Diabetes is beyond epidemic proportions and prevalent in almost a billion people in this world, this is my estimate based on people that the World Health Organization (WHO) has not accounted for. The reason why the numbers are so high is that young kids are becoming insulin resistant and getting diabetes. This was unheard of 20 to 30 years ago. The deadly unknown factors concerning diabetes are you cannot see it, and people do not understand the toxic affects of high blood glucose. High toxic levels of blood glucose affect everything in your body. Your eyes, brain, heart, legs, feet, liver, pancreas, every single cell, vein and nerve. If you recognize the symptoms then you should go to your doctor and have a blood work up to check your insulin sensitivity and HemoglobinA1c. The rate of diabetes will bankrupt health systems all over the world. In the US, the estimated total economic cost of diagnosed diabetes in 2017 is $327 billion, a 26% increase from our previous estimate of $245 billion (in 2012 dollars). Taken from the American Diabetes Association. I am now a non diabetic as I have dropped my Hemoglobin A1C reading to below 5.5 %. My A1c is at the normal range. I am not going to sugar coat this, pardon the pun. Quitting sugar, LCHF diet, fasting, exercise, sleep and no medications are now my way of life. I practice what I preach. To live a normal and healthy life without medication, choose this lifestyle. You will lose weight, look better and feel better on your journey to health and wellness. I have now achieved my goal of reversing or stopping type 2 diabetes. The risk of heart attack or stroke is now back to normal. A diabetic has a much higher risk of heart disease. Stop eating processed high carb junk foods, and sugar. This will be a start to a healthy lifestyle. I am on your side. I am not a doctor, nor do I prescribe medication. What works for me should work for you. I am only suggesting a possible control and or cure for diabetes. So if you do not change your dietary habits (bad habits), you will not have control over your blood sugar level. You do not want to be at the point where you rely on an insulin injection. Insulin leads to more insulin. Insulin leads to obesity. It is a vicious circle. I would like you to believe everything I say is true, but don’t take my word for anything, double check for yourself and verify. Test your blood sugar and be sure. If you are not sure go to your doctor and get a blood work up. 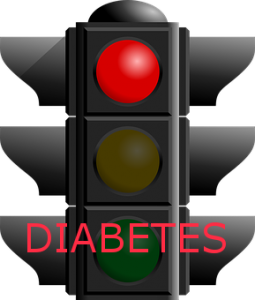 I have developed this website to help diabetics and to promote a healthy lifestyle. I have learned to make websites through an organization founded by 2 Canadians who are devoted to helping anyone interested in developing their own website(s). The organization is called Wealthy Affiliate. I am a proud member of Wealthy Affiliate which promotes educational learning. It is also socially active and has a huge following and membership. You can join for absolutely free and if you want to take it to the next level you can join the paid Premium membership. If you want to learn about this opportunity please click here. I also recommend you check out the best Keyword Tool on the internet called Jaaxy. After you sign up you get 30 free keyword searches. Please take your time to have a look around the website. I hope I can educate and help make your visit to my site a great experience. I would like to ask, if you see anything that arouses your interest(s), please get involved. If you have anything of interest that you want to share or any opinions of any of the content on my site, please comment. I would appreciate your feedback. All of the information I use is scientific facts not made up fiction. I have a huge list of books that I have read to back up my posts, along with established sites on the net. I love questions and I have been able to answer all of the questions thrown at me so far. If I don’t have the answer I will find it. I would like you to come back regularly as I will be updating the site. This site is a continuing work in progress and I will add anything new that I discover. Do not hesitate to ask any questions. If you do not understand something please send me a note. If you don’t like something, send me an email or comment. I am open to discussing anything related to this topic. I very much appreciate you dropping in. I really enjoyed your post about fasting. I started fasting at the age of 12, and I am now 54 years old, and I still do it today. I haven’t been sick or to a doctor in all of these years. I am not on any kinds of medications what-so-ever. I sometimes fast from anywhere between 3 to 5 days, and I can honestly tell you that I have more energy than most twenty-year-old’s. So I do believe there is a lot to be said for fasting. The only way to live is through a healthy lifestyle. Sounds to me like you have it figured out. Good for you. Keep up the work. I don’t have diabetes, but my best friend does and I am going to pass your web site along to him. What you are doing is commendable. I appreciate you dropping by and reading. Thanks for passing the information on to your friend. Very nice Healthy web. keep it up and spread the word Jimmy. I am very happy for you and I’m sure your doctor too.. go! go! no more diabetes! Thanks for dropping by and leaving your inspirational comments. I appreciate you dropping by and commenting. My husband recently reversed his diabetes with diet and exercise, as well! It took him 18 years to figure it out, but he, too, found an excellent doctor to help. Four months later he was off all medication and down 20 lbs! Congrats on spreading the word. More people need to know that there is a solution without drugs. I am glad that your husband was able to find a knowledgeable doctor. If you follow a Low Carb High Fat diet and cut down on sugar, it can be defeated. We need to get the word out to the hundreds of millions that do not know they have it so they can save themselves from this dreadful disease. Good luck to your family. Thanks for the comment. Jimmy.